For the message of the cross is foolishness to those who are perishing, but to us who are being saved it is the power of God! One summer my family and I rode a sky cab – a cable car across Disneyland. The panoramic view was spectacular! We traveled from one side of the park to the other. There was no struggle to see, for we had the vantage point of it all laid out before us. As Christians we sometimes struggle to sense God’s Presence around us. We search to recapture the closeness – freshness – of when we first believed. How did we come? Jesus died for all my sins. I am righteous in God’s eyes. No lofty writings can improve the simple message - the truth that set us free so perfectly! How can it remain fresh and new? We have a great vantage point from which to view life every day. It is the Cross! 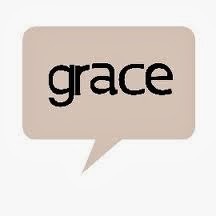 From there, all is well – life is good – for I am surrounded by Grace. Everything pales in comparison – all is put to rest – peace reigns there! Lord, when You bring me to this place, as an eagle flies to her nest, we come to the crossbeams and perch there a while, where all that hinders me is swept away! I recount all that Jesus has purchased for me – love, mercy, forgiveness, wholeness, peace and joy. There is nothing in my life that His blood does not cover. I am free, as a bird is free! Father, always draw me to the Cross . . . to the beauty of Your Grace!